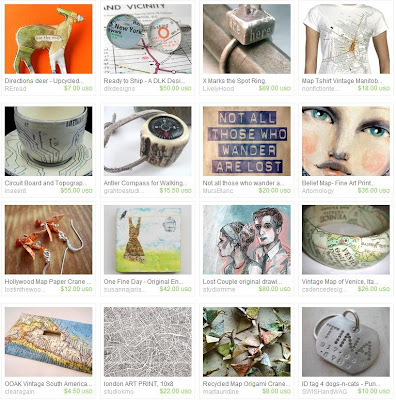 My little deer brooch has been featured in this cute map treasury. I think I'm OK with a map - I do have to turn the map as we turn corners etc, but I manage. I have a Tom Tom, but I take it way too literally and I get the shits with it and then get lost. Lol, nothing wrong with turning the map.. I thought these navigators were like really great?? But i saw in the news people ending up on the stairs of the Underground or some such stuff.